The concept of smart toilets has been around for a while. However, most of these have previously focused on analyzing the things that go into toilet bowls, rather than the people sitting on top of them. That’s something a new device being developed by researchers from the Rochester Institute of Technology wants to help change. They’ve created a smart toilet seat that’s able to potentially play a crucial role in monitoring the heart health of users during those several minutes each day when they’re, er, dropping off friends at the pool. 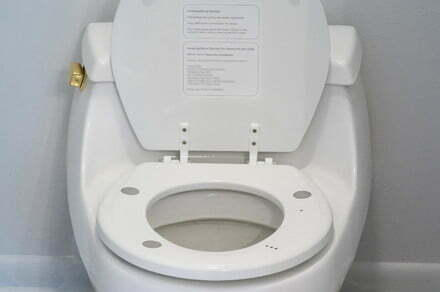 Rather than requiring users to install a whole new toilet, the fully automated, cloud-connected seat can be retrofitted on top of existing bowls. In a recent test involving 38 healthy volunteers and 111 heart patients at the University of Rochester Medical Center, the seat was found to be capable of producing heart measurements as effectively as hospital-standard monitoring equipment. The results are described in a journal article published in the JMIR mHealth and uHealth.